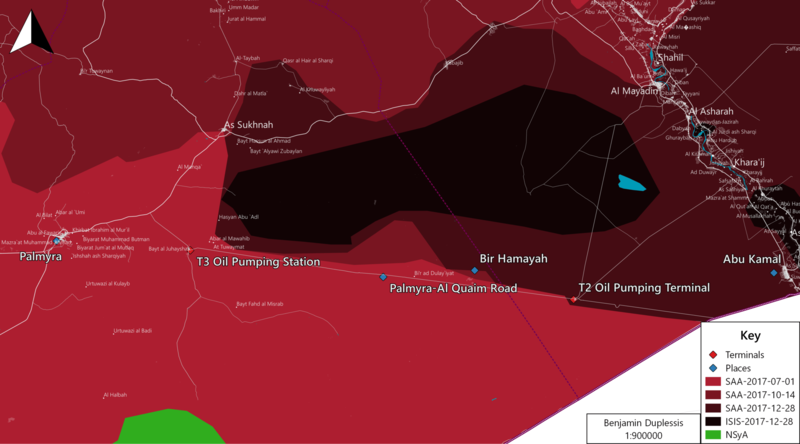 Map of Humaymah and surroundings showing SAA and ISIS positions over the course of the seven-week campaign. 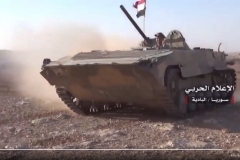 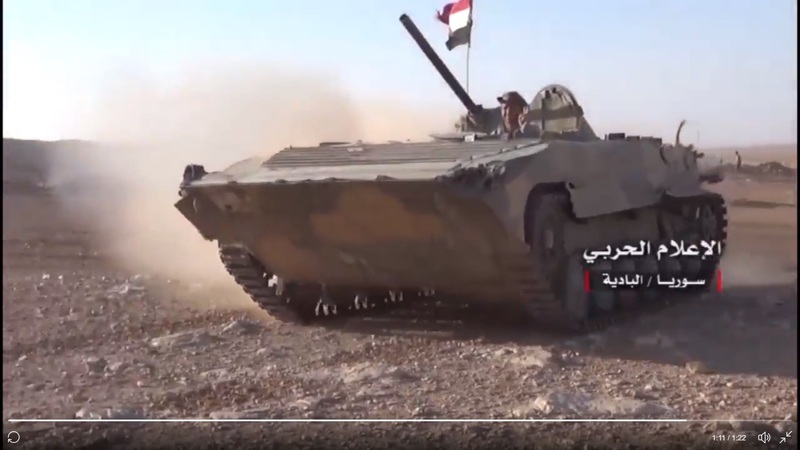 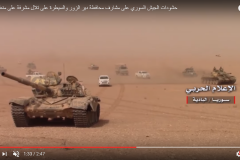 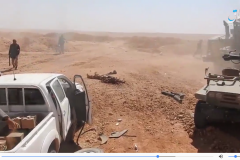 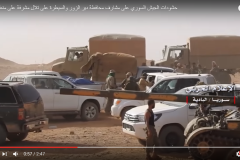 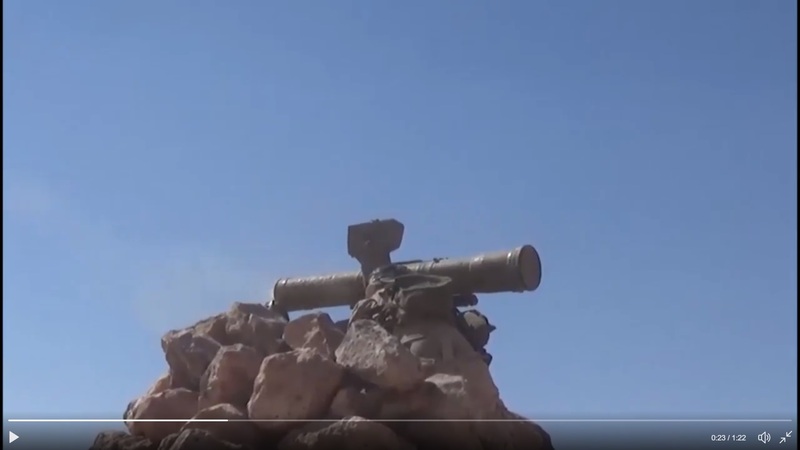 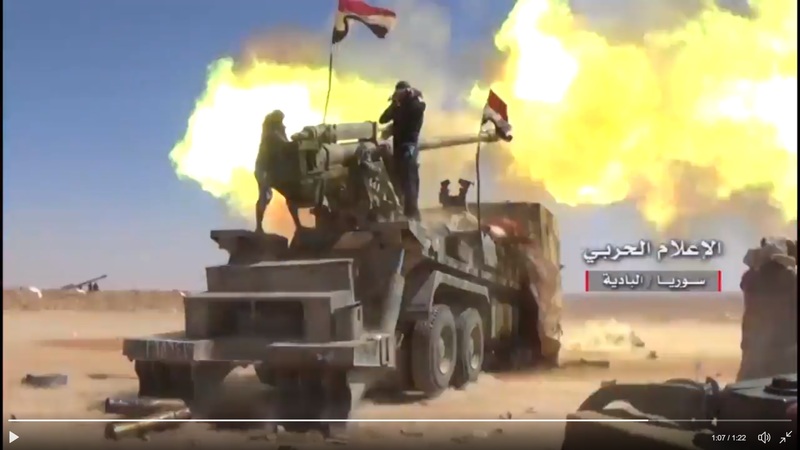 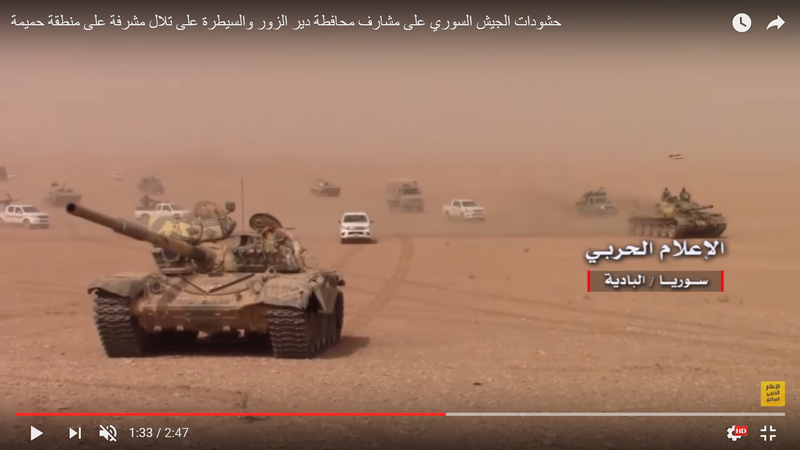 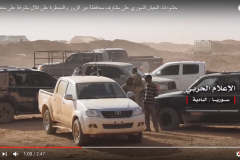 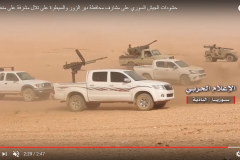 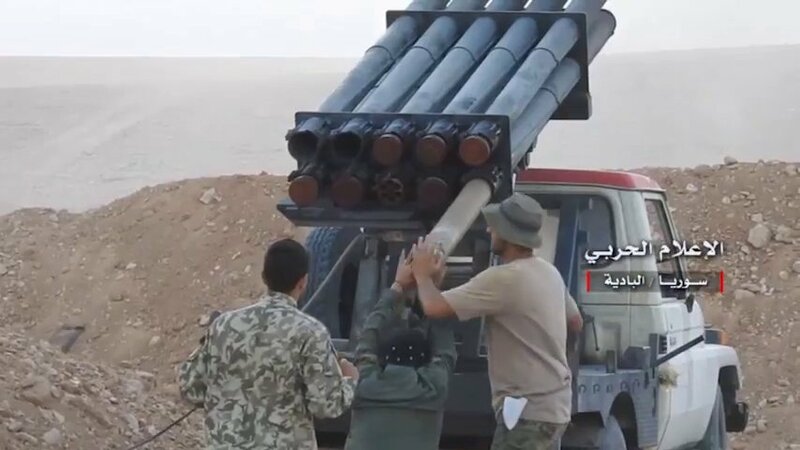 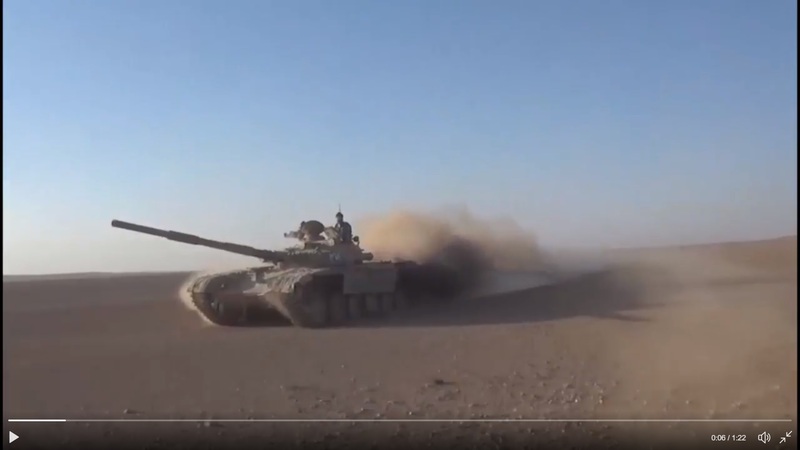 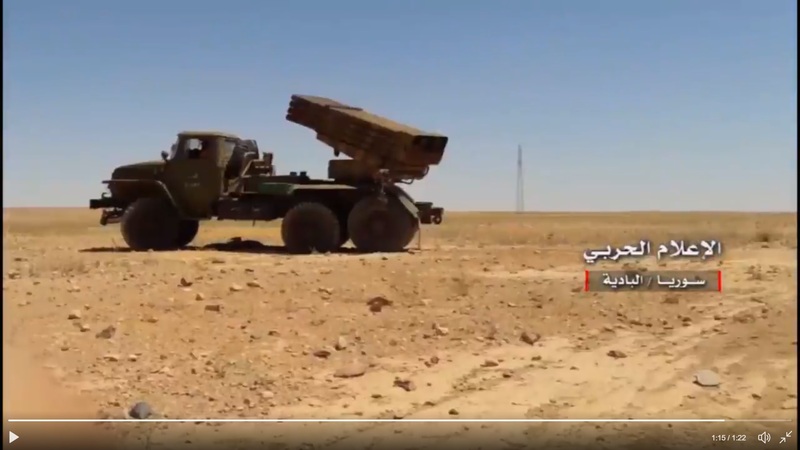 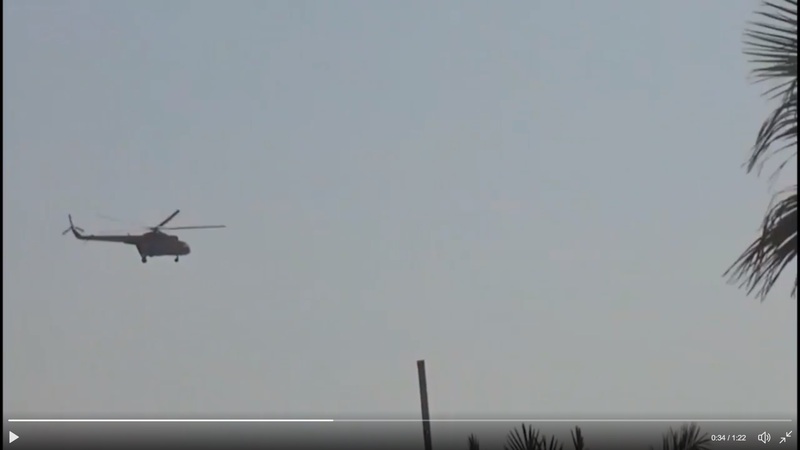 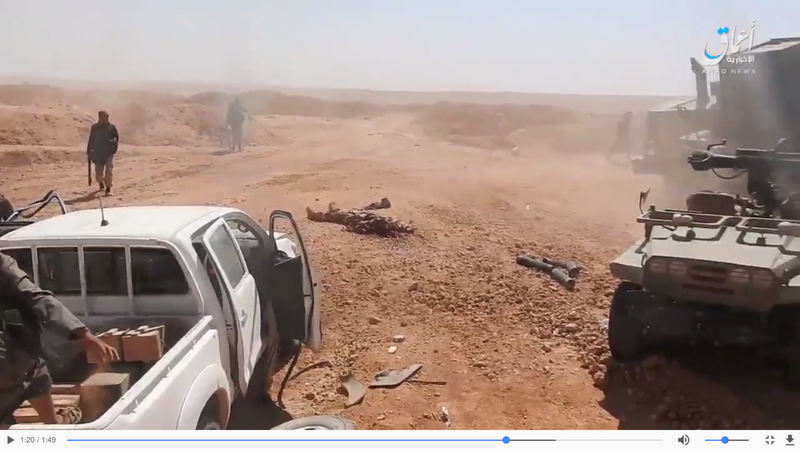 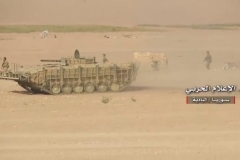 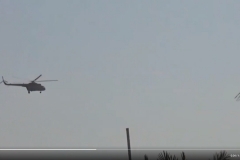 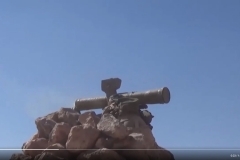 The July 1 video showed a T-62 and T-72 tank, two BMP-1s, a recoilless rifle jeep, two technicals, an ATGM-mounted pickup, a machinegun-mounted pickup, two Mercedes Unimog logistical trucks, a bulldozer, a dirtbike, and 17 regular pickups involved in the initial advance. 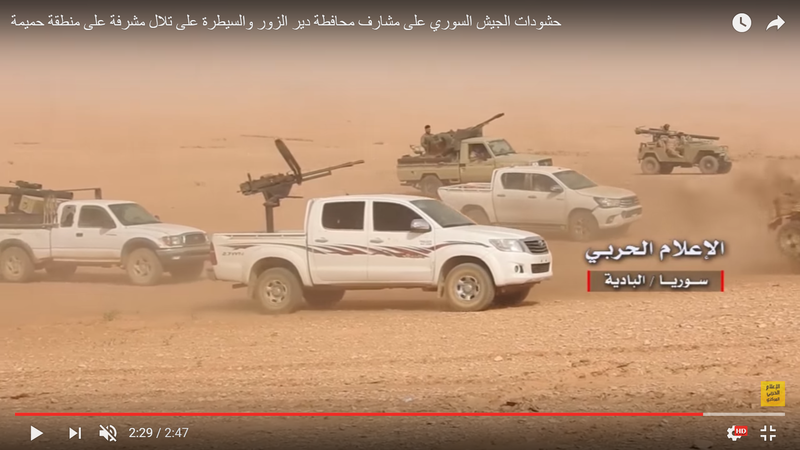 This force consisted of up to 170 fighters based on the maximum occupancy of each vehicle. 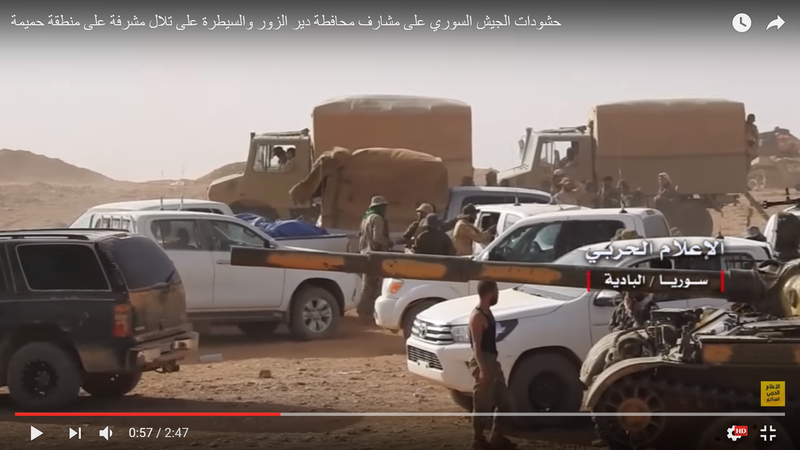 The militia set up a base camp from which all of the vehicles, aside from some of the pickups, moved to a forward operating base (FOB) built of semi-circular dirt berms, utilising both tanks as static artillery pieces. 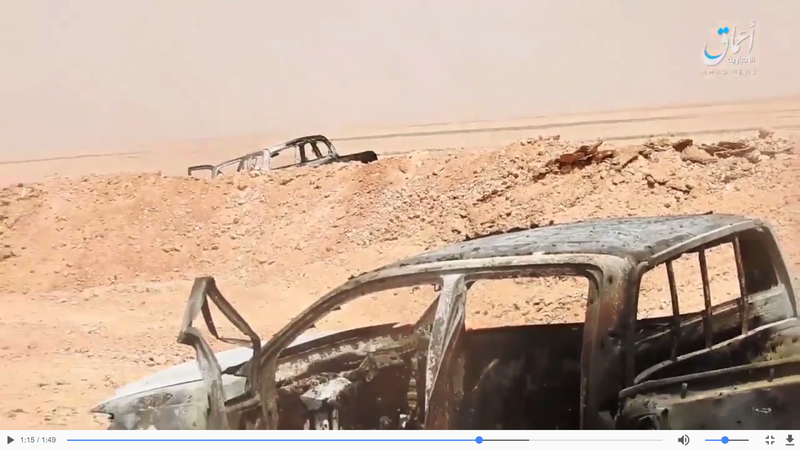 On July 3, ISIS launched a counter-attack on the FOB. 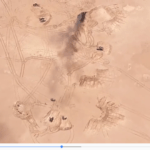 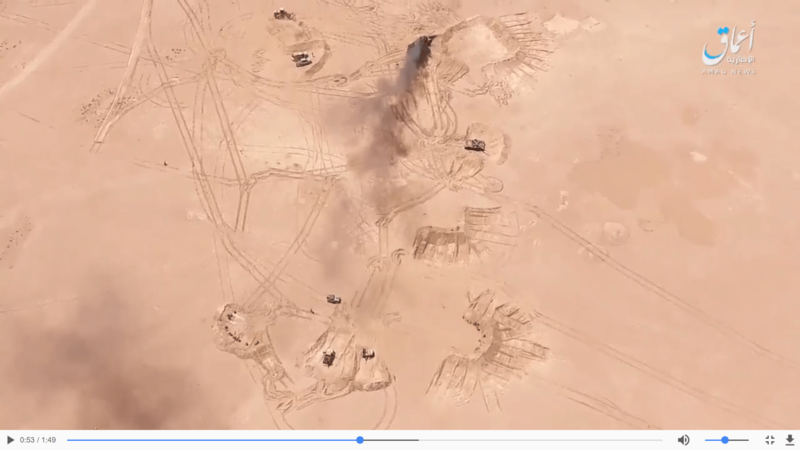 Aerial view of the militia’s FOB, as shown in an ISIS video of the attack. 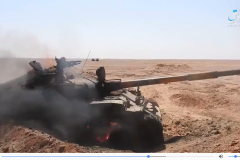 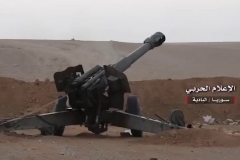 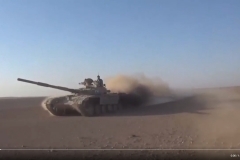 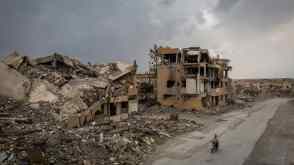 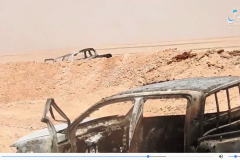 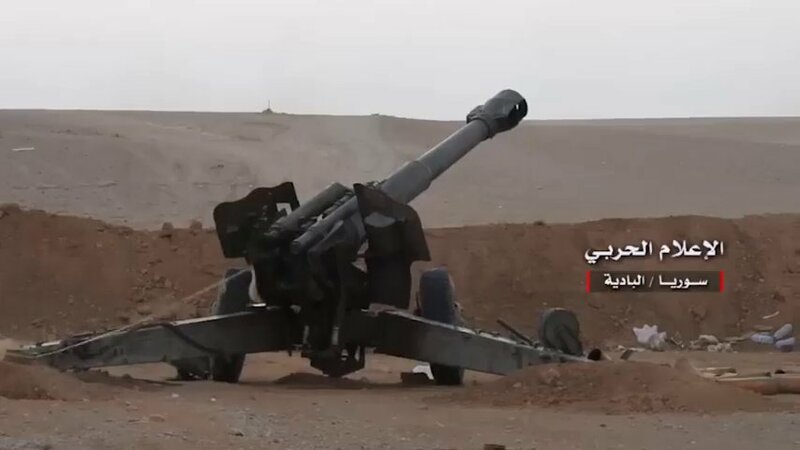 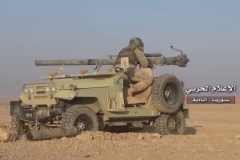 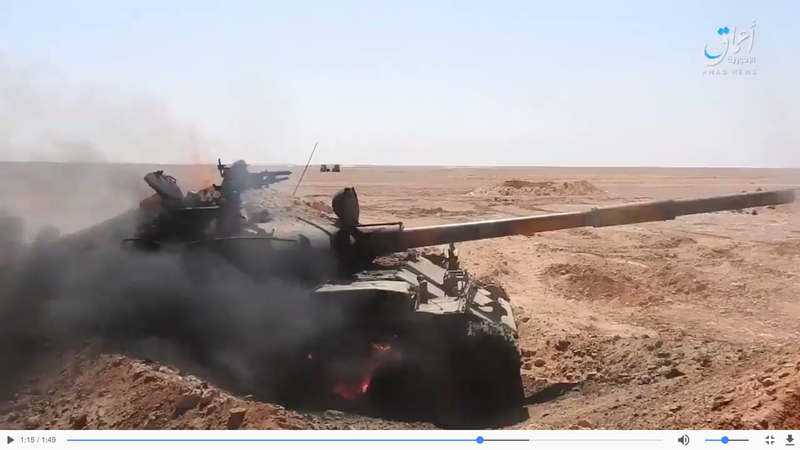 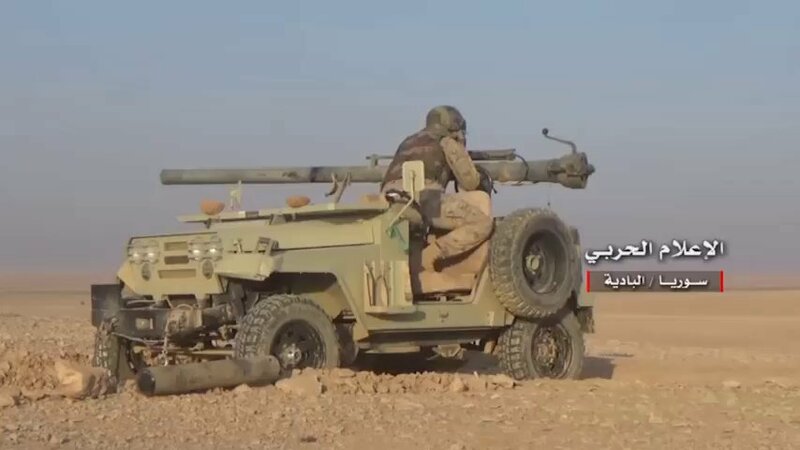 ISIS forces destroyed the T-62, the bulldozer, and two pickups, they also captured the recoilless rifle and ATGM-mounted pickup and effectively eliminated 50% of the defending force’s armour and anti-armour equipment. 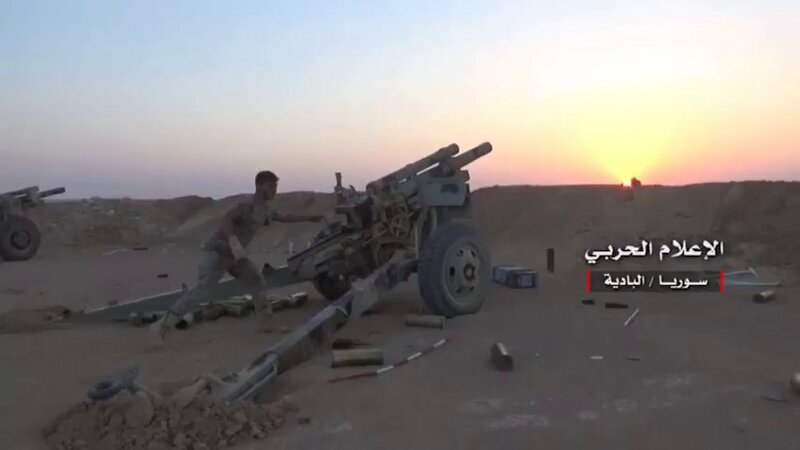 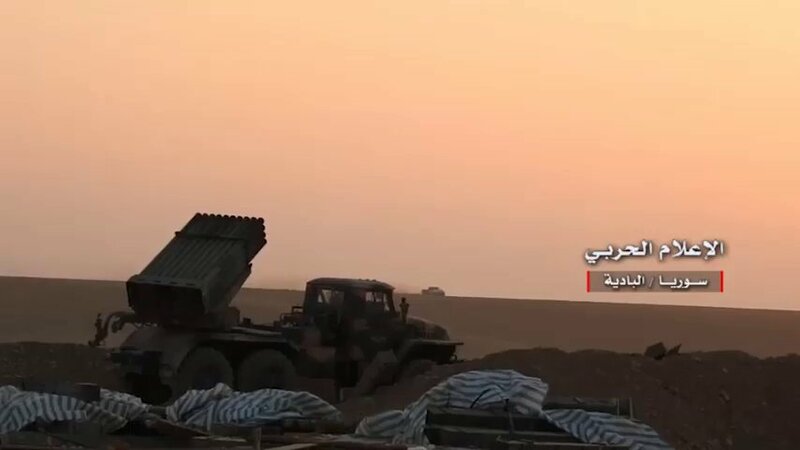 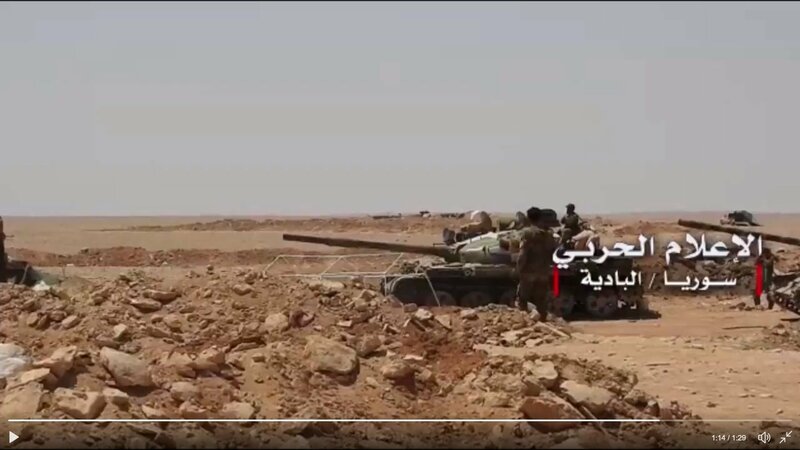 Four days later, on July 7, ISIS again attacked the militia around Humaymah, this time claiming to have destroyed or captured the T-72, a BMP, and a technical. 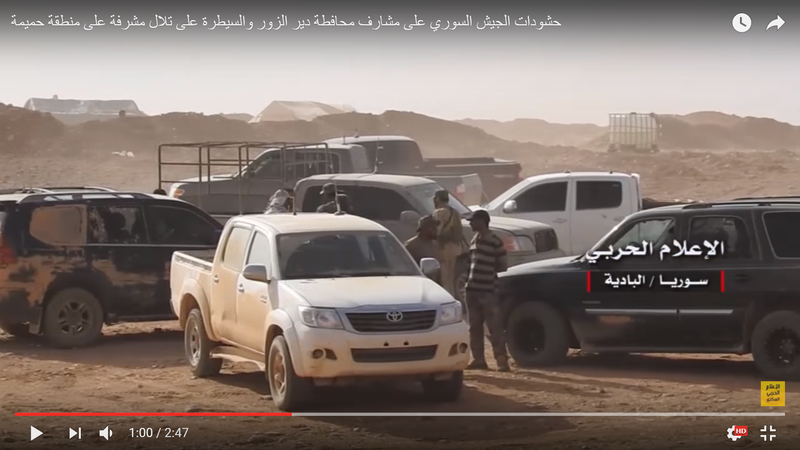 An announcement from the ISIS-affiliate AMAQ Agency, claiming to have successfully attacked pro-government forces near Humaymah. 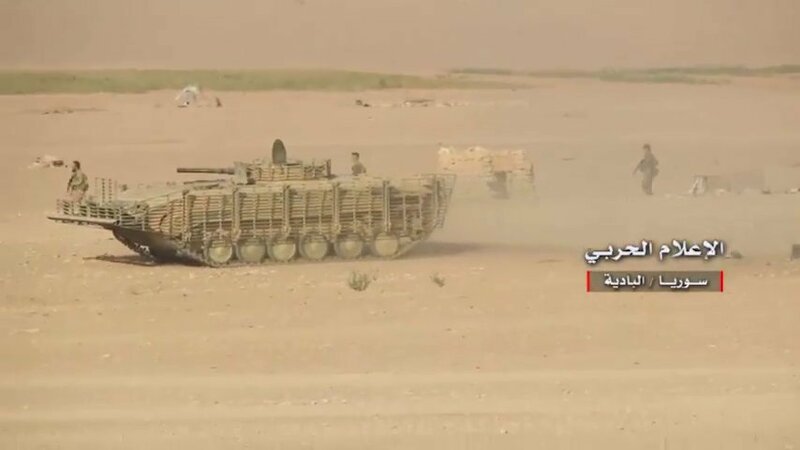 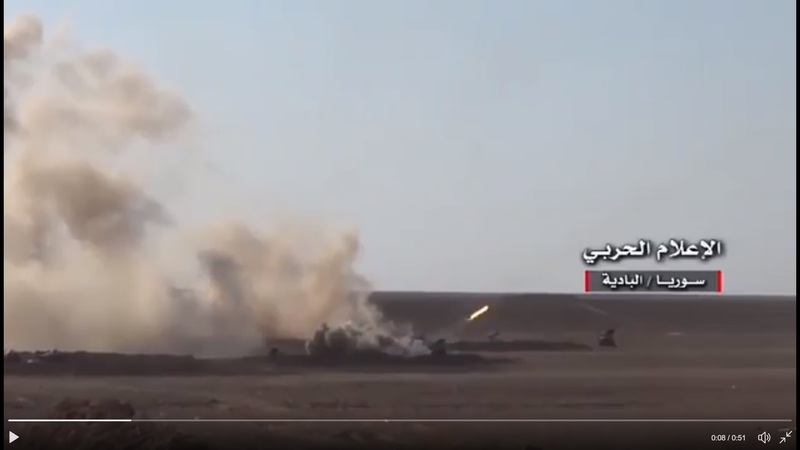 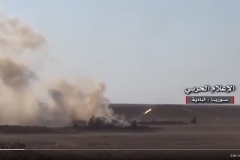 Two tanks targeting incoming ISIS vehicles near Humaymah.